David Fincher is a multi-talented American actor, director, as well as a renowned producer of films, TV series, and music videos. With his career in Hollywood spanning over three decades; David has become one of the top directors in the industry. He has worked on the set of several movies and has equally won a good number of awards for his excellent works. Some of his most popular films include Gone Girl, Zodiac, The Game, The Social Network, and The Curious Case of Benjamin Button, to mention a few. Learn more about David below. The filmmaker was born as David Andrew Leo Fincher in 1962; he celebrates his birthday on the 28th day of August every year. David was raised by his parents Howard Fincher and his wife Clair Mae; he spent his childhood days in Denver, Colorado and San Anselmo, California. His mother worked as a nurse while his father was an acclaimed author. David’s father died of cancer in 2003 and prior to his death; he served as a bureau chief and a reporter for the Life Magazine. Fincher stands 6 feet tall, he is of the white ethnic background and possesses an American nationality. Growing up, David became so interested in making movies from a very tender age. In their neighborhood in California, he lived next to the popular filmmaker George Lucas which got him motivated the more. While he was attending Ashland High School, the prospective actor equally worked as an assistant cameraman and projectionist in a movie theatre. He also got himself attached to a local TV station called KOBI. As a teenager, David joined Korty films where he quickly rose through the ranks and became the production head for the coy. He started working on a series of films as well as commercials and music videos. Through his witty and stylish pattern of filming, he produced some of the most iconic music videos during the ’80s and the ’90s. Some of his notable works include Madonna‘s songs – Vogue and Express Yourself, Aerosmith’s Janie’s Got a Gun and Michael Jackson‘s Who Is It. He also worked on the set of the animated movie titled Once Upon a Time and other movies such as Indiana Jones and the Temple of Doom and Return of the Jedi. The multi-talented filmmaker has worked on the set of several movies since the inception of his career. He has directed and produced several award-winning movies, TV series, and music videos. Some of his notable movies include Alien 3, Seven, The Game, Fight Club, The Social Network, The Girl with the Dragon Tattoo, World War Z 2, Zodiac, Panic Room, and many others. David also did excellent jobs on top grossing Netflix series including Mindhunter and House of Cards. Additionally, Fincher has won two Grammys for his works on The Rolling Stones music video for Love is a Song as well as Justin Timberlake and Jay-Z‘s Suit & Tie. He has equally produced numerous hip-hop music videos for other top American artists such as Paula Abdul, Rick Springfield, and The Outfield, among others. Fincher has made huge wealth for himself and his is currently living a lavish lifestyle. His talent and excellent achievements have placed him as one of the top ten movie directors in the Hollywood industry. In addition, David Fincher’s net worth is currently pegged at $65 million. The movie star earns his net worth from his movie career as well as other business endeavors. 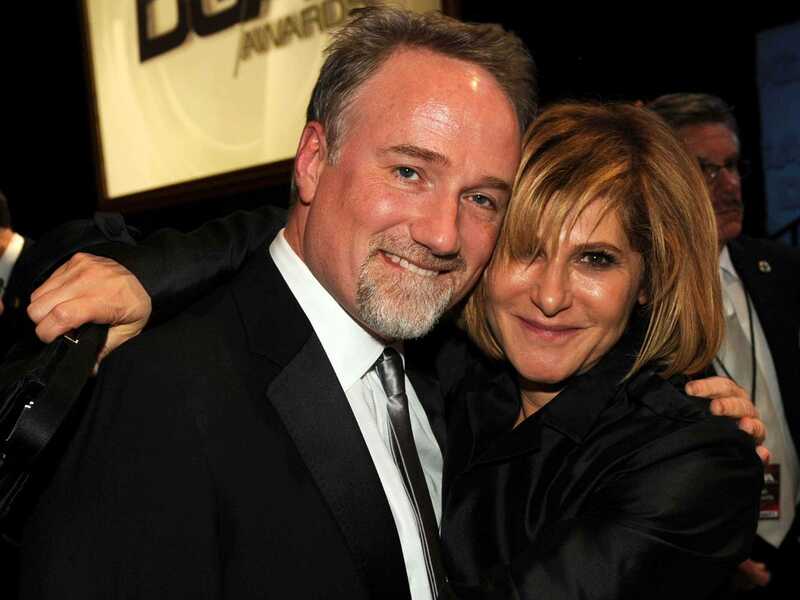 David Fincher, in addition to his successful movie career, is also successful in his love life. He has made it down the aisle twice and also has a daughter. The filmmaker got married to his first wife Donya Florentino in 1990. Donya is an American model and actress. Born in 1967, she has appeared in several movies including Prince of Swine. The pair was married for about five years and they got divorced in 1995. They had a lovely daughter named Phelix Imogen who was born in April 1994, barely one year before they separated. Soon after their divorce, Fincher started another relationship with a fellow producer named Ceán Chaffin and their relationship eventually turned into living happily ever after. Ceán has worked with her husband on the set of many blockbuster movies and TV series including The Curious Case of Benjamin Button, The Social Network, and The Girl with the Dragon Tattoo, among others. The amazing couple exchanged marital vows in 1996 and since then they have been living together to date. They don’t have any kids yet, notwithstanding, there is no sign of divorce between them. David and his wife Chaffin currently reside in Los Angeles, California.